Parking available at Northwestern Memorial Hospital garages (listed below) for up to 7 hours at $11. Regular rate will apply if you exceed 7 hours. Parking A – Huron/Superior: Located at 222 East Huron Street between Superior and Huron streets. Parking C and D – Erie/Ontario: Located at 321 East Ontario Street between Erie and Ontario streets. 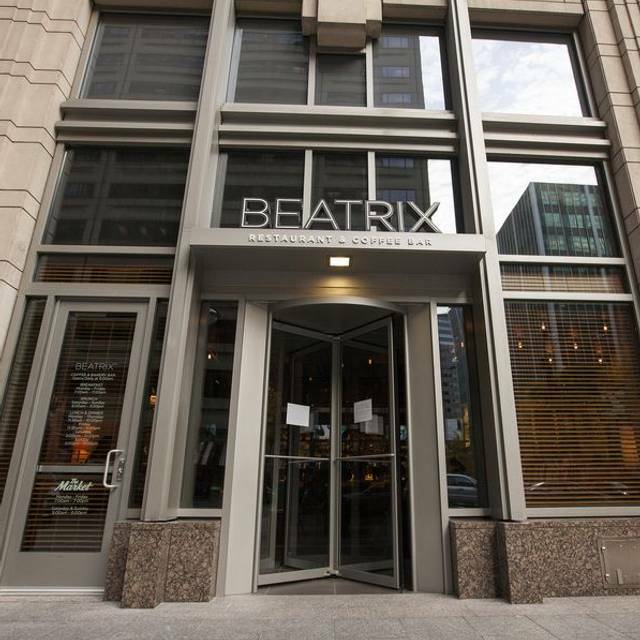 Beatrix is a neighborhood restaurant, coffeehouse and meeting place located in Chicago’s Streeterville. Our chef partners Susan Weaver, Rita Dever and John Chiakulas have created a menu inspired by food made in Lettuce’s test kitchen. 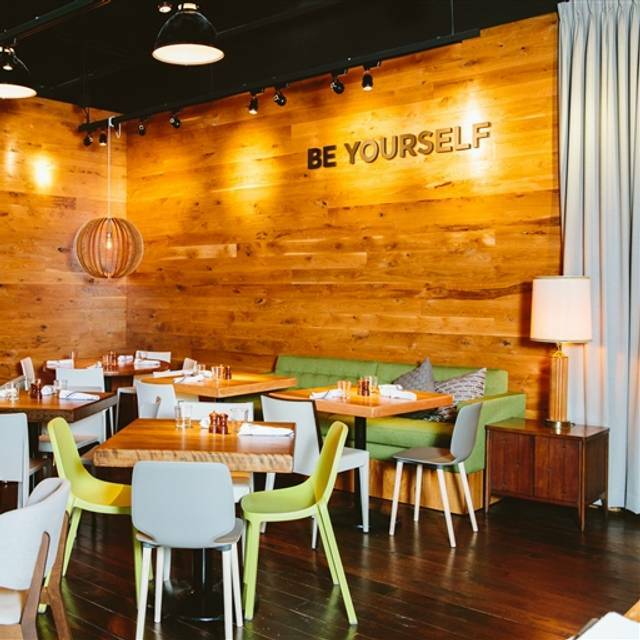 Beatrix is open daily for breakfast, lunch, dinner and late night offerings. All pastries, breads and sweets are baked in house daily. Some of our favorites include Angel Food Cake Muffins, Honey Butter Cinnamon Rolls and Chocolate Chunk Cookies. Our coffee and tea program will showcase two iconic Chicago roasters, Intelligentsia and Metric. Our first experience here was terrific but when we came back this time we had to return the turkey meatloaf twice because it was ice cold. Finally it came out at the right temp and was delicious. Excellent Food, professional staff and able to discuss the menu and make recommendations. The best Brussel sprouts ever !! Food and service is exceptional during our Brunch visit. However, improvements are needed for take out at the cafe and bar are needed. Service is terrible with uninterested staff. Nice place overall but we were seated by the kitchen. Is what it is, someone has to sit there. Lemon Pancakes were to die for. Also highly recommend the brown sugar bacon and chicken sausage. Lovely brunch! Aside from not being able to order a mimosa with brunch (there's a law that alcohol cannot be served before 10:00a.m. ), everything was absolutely wonderful. Tasty, healthy portions and all served with a fabulous attitude and desire for the entire experience to be positive. Remember to grab some pastry items to bring home on your way out as well! First time visit. Very impressed with food quality and choices. Excellent service. We ended up with a table by the kitchen but despite the noise, I got a good view into all the deliciousness coming out of that kitchen. Great for a business lunch! It's a bit pricy and the food is slightly better than OK. Service is usually decent. Excellent, convenient. Beatrix was packed, but our reservation was immediately honored. Thank you! Great service. Great food. I would definitely go back there. Food was extremely tasty, served at correct temperature and as always best bloody mary around! However, I think it's time for Beatrix to change their menu. Nice variety of breakfast items. Slight spin on the traditional food. Excellent banana bread!!!! 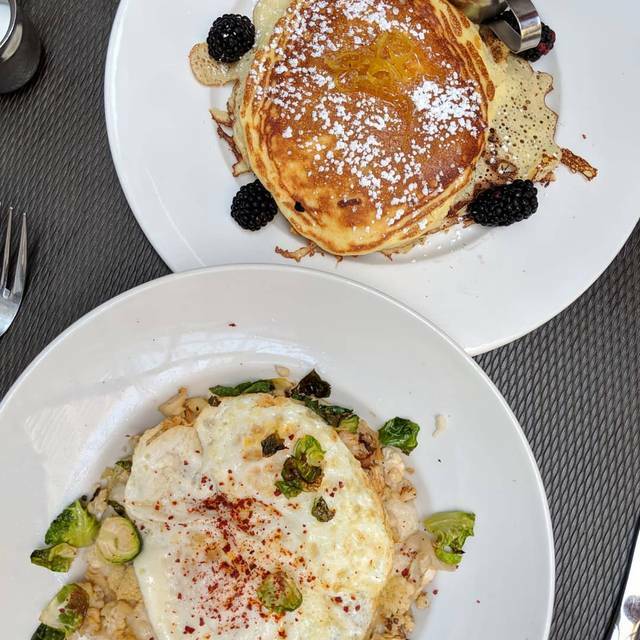 Yesterday we took brunch there, it wasn’t the best service, we had a few inconveniences, but I love the place and we returned today, it was like a huge difference, our server today was amazing!!! The food delicious like always. Third or fourth time dining at Beatrix. This is the first time the food was a disappointment. Wonderful selection of menu options at Beatrix to appeal to a variety of diners. The service was attentive and professional. Although the restaurant was full, we were able to carry on our conversations and never felt rushed. 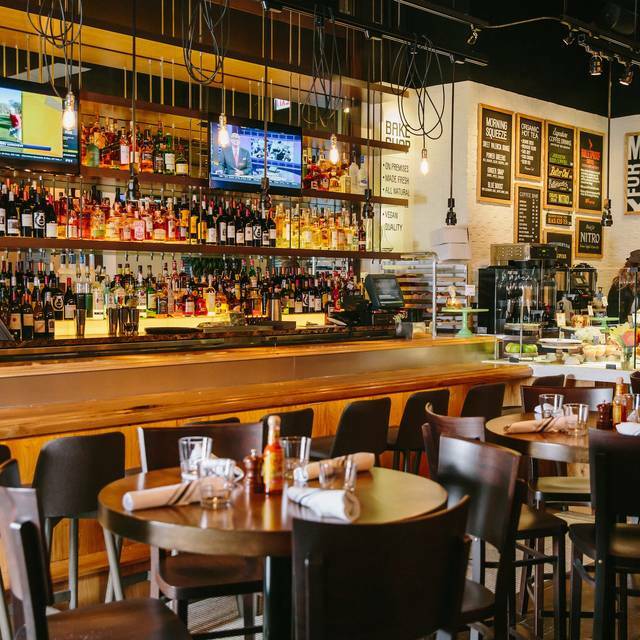 The atmosphere is contemporary and is as inviting as the food they serve. Will go back again, good go to place when visiting Michigan Ave. I love this place and is always a great idea, but sadly this day wasn’t the best idea, the server wasn’t in a good mood, it was my birthday and for being honest I was in shock, it took him more than 15 minutes to just bring the water, the glasses smell HORRENDOUS, it wasn’t the normal excellent service that I experienced at this place before. I think it was just a bad day. The food amazing as always. Brought a local who had yet to enjoy the Beatrix experience. He was pleasantly surprised at how good and healthy were the items on the menu. Another customer won over. Service was great! Meal was outstanding! 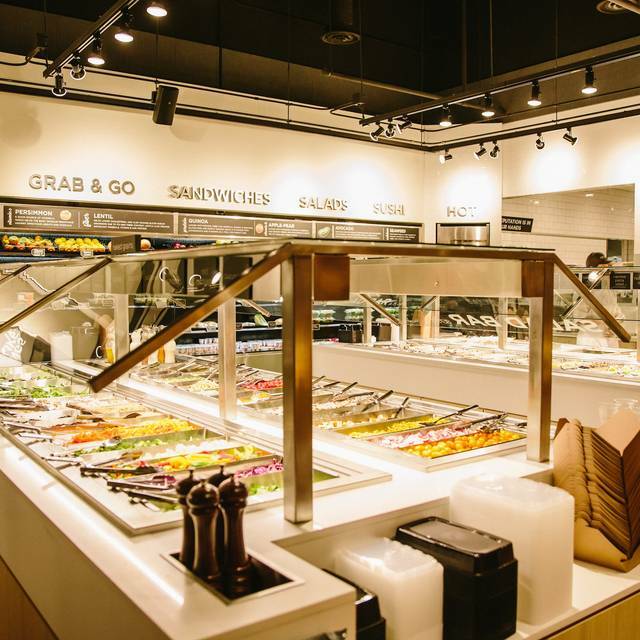 Great food - fun atmosphere and super cute bakery food! The Super Natural Salad should not be missed. Healthy. Incredibly delicious. Wish Beatrix would add to the weekend menu so i can pick up more frequently. In the world of Streeterville, Beatrix tries hard to be the red-headed step-child with mixed results. A few items are worthy of a second look; and that's the rub; there are too few of those. One notable exception, is the Caramelized Pork Shank. The cider reduction is thick, rich, and a perfect accompaniment to the whipped Yukon Gold potatoes, Braeburn apples, and roasted sweet potatoes. 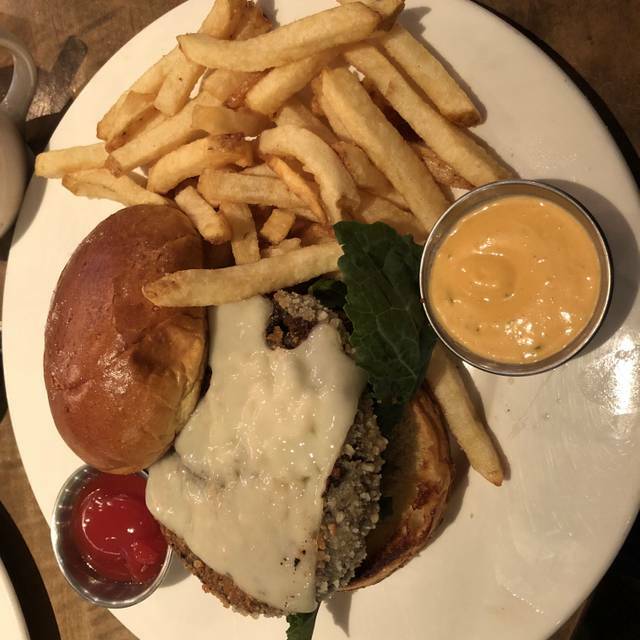 My brother-in-law's Keto adventure with the burger was neither spectacular, nor disappointing, it.just.was. My better half enjoyed her Chicken Bebe, what there was of it; Beatrix isn't known for being generous with their portions. I really want to like Beatrix; this was our 2nd time; and it will be our last. What a find! Excellent menu and wonderful service. Lettuce Entertain You food and hospitality at it’s finest. Experience wasn’t great. 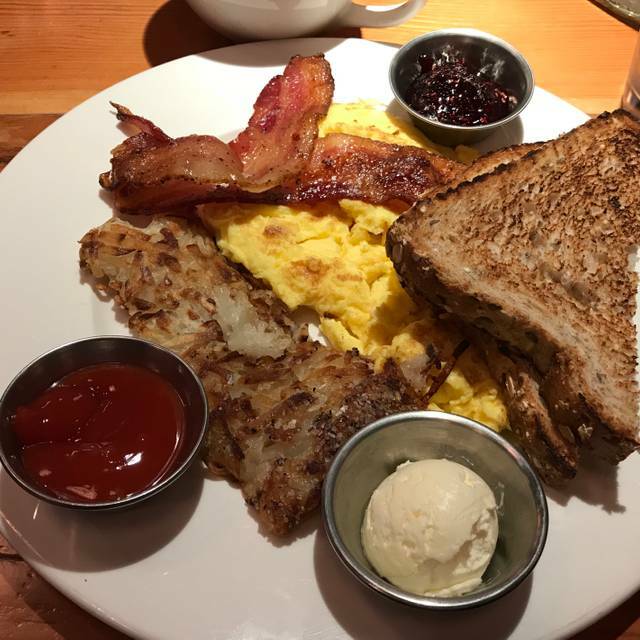 I ordered scrambled eggs, hash browns and toast. My husband ordered cauliflower grits and liked his. Waiter said eggs normally come medium cooked and that was fine for him. My husband loved his food. My eggs were very undercooked. Waiter came back and said they are cooked soft scramble. Wondering why he didn’t tell me that when I ordered when he asked my husband how he wanted them cooked. He should have asked us both. They made new ones without a problem. Then we over heard a different waitress tell another table there was a French toast special. Our waiter never told us about this and I would have ordered that. We had already gotten our food by then. Juices were good. The hash browns were crispy on the outside but very mushy on the inside. Some of the worst I’ve had. Just not sure what went wrong with this very simple dish. 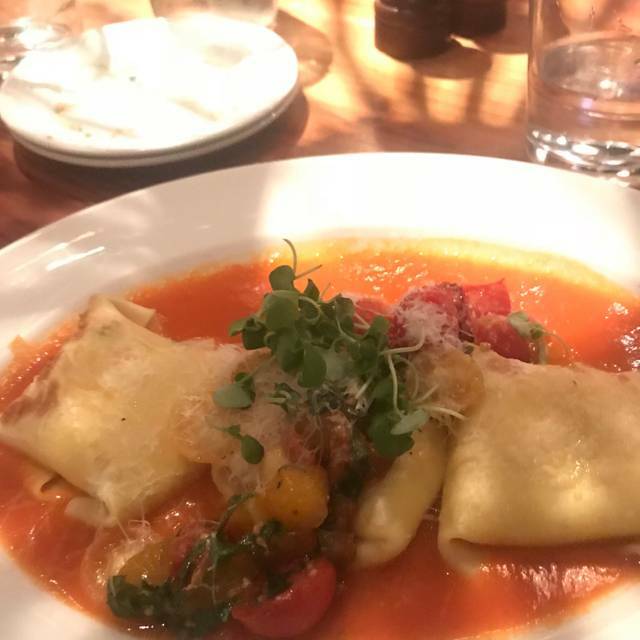 Amazing food and service! Highly recommend the cauliflower salad! Good food, nice atmosphere and good service. We sat near the door, so we didn't get the full effect of the atmosphere, but we enjoyed meal. Simply delish brunch!! Fast and attentive service makes it pretty close to worth the $! Party in private room was very loud and we were sitting next to a private room. 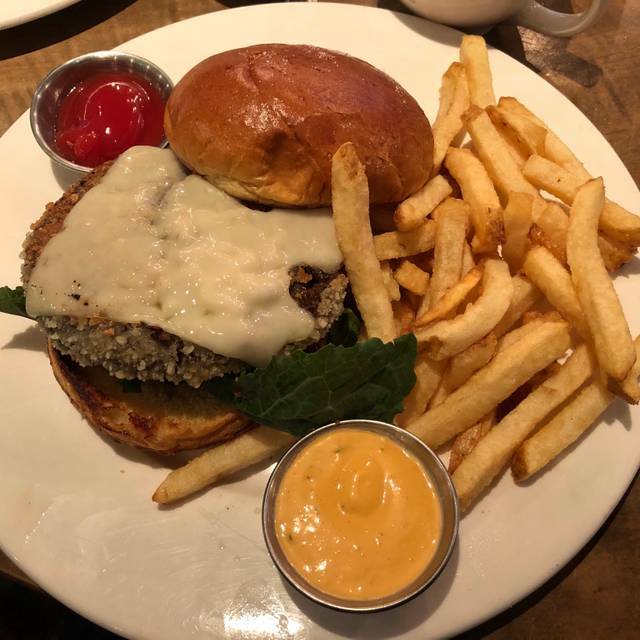 We have recently had two friends at different times in the hospitals in Streeterville, and we had been looking for a reasonably priced place to eat with interesting food... After several disappointments, we found Beatrix-Streeterville: it was GREAT! They have a very interesting menu, the service is good, and we could actually talk with each other without shouting. Clearly, we'll be going back whenever we're in the area, visiting hospitals or not! Good food, but there really is no excuse for the loud music. It makes conversation difficult. Excellent for food and service. Great coffee. Great soups. Great salad.